The Brighton Bubble is something of a mixed blessing – sure it means we’re in a city that shines out as independent, quirky and full of fun; but it also presents a psychological barrier for ever going beyond our own postal code. For those brave folk willing to step over the invisible demarkation venues like The Schooner offer a refreshing change of pace, vibe and scenery. And what’s a change as good as? 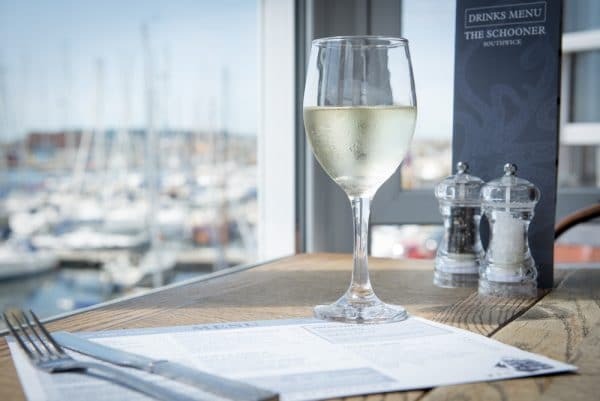 The hustle and bustle of urban life are easy to escape with a trip to The Schooner, which would look quite at home in some West Country or Welsh fishing village. Either work up an appetite with a healthy coastal stroll, zoom along on a Brighton bike, or jump on the Coastliner 700 or a quick train ride for speedy and convenient transportation to an afternoon’s staycation vibe. Food at the Schooner is home cooked and classic, with deals such as 2-4-1 offers making for affordable weekday treats. 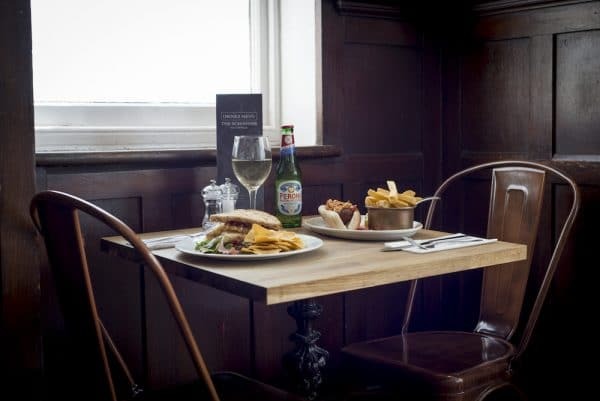 Whilst retaining the traditional pub fare it is safe to say The Schooner remains a cut above most out of town pubs with the full-time kitchen cooking everything from fresh and a good selection for those with a restricted diet. 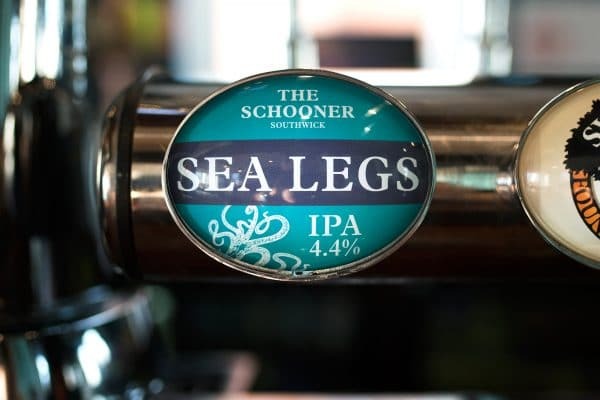 One of the 38 pubs on the Sussex Ale Trail, The Schooner has three Sussex ales on rotation and its very own crisp craft beer, Sea Legs. Non beer drinkers are welcome with a well crafted wine list and good selection of spirits and soft drinks. But really, it is about the beer. 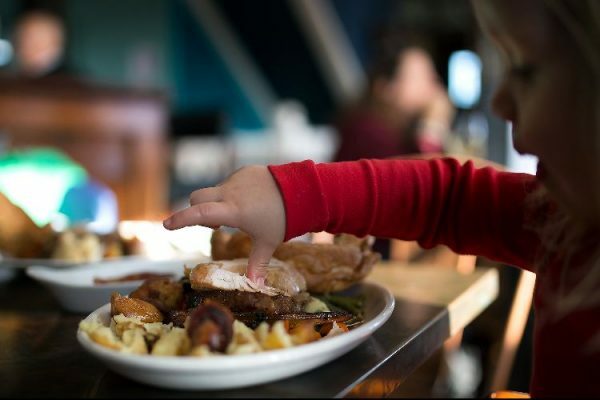 Suitable for the whole family The Schooner is a healthy but doable walk from Brighton which will serve to work up an appetite on the way or tire out little ones on the way back. Dogs get a warm welcome with treats and water, children get their own menu of kid-approved classics (all for a fiver or less) and you get the beer and a sense of satisfaction. The most coveted seats in The Schooner are without a doubt the bay windows. 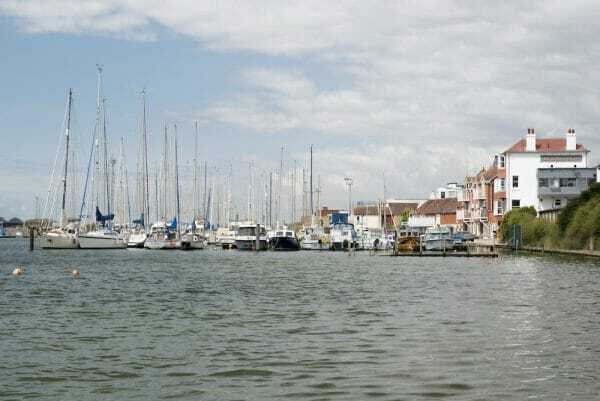 Glorious in the summer for sipping a cool drop of white whilst dreaming lazily of the bobbing boats. In the winter they’re the perfect spot for that hygge comfort feel when wind and rain lash down and you sit back warmed by real log fires and deep amber ale. It’s pretty certain you’ll be home from a trip to The Schooner before any ‘wish you were here’ postcards arrive but the roasts remain noteworthy none the less. 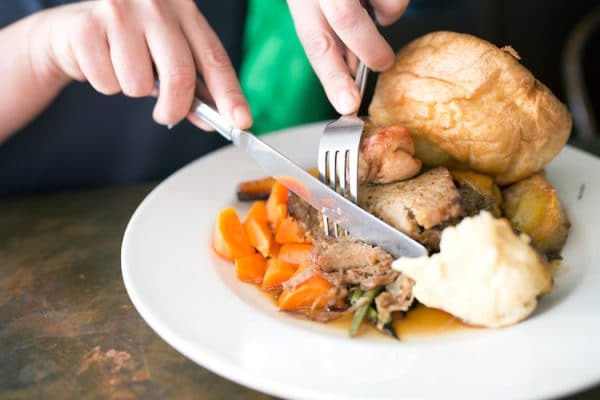 Offering a good selection of meat and non-meat options, with well prepared seasonal vegetables and crispy-fluffy roast potatoes, it’s the three-day gravy that crowns this family lunch spectacular. See our Sunday lunch review here. Super clubs at The Schooner offer a little bit of something special to a night out of town. 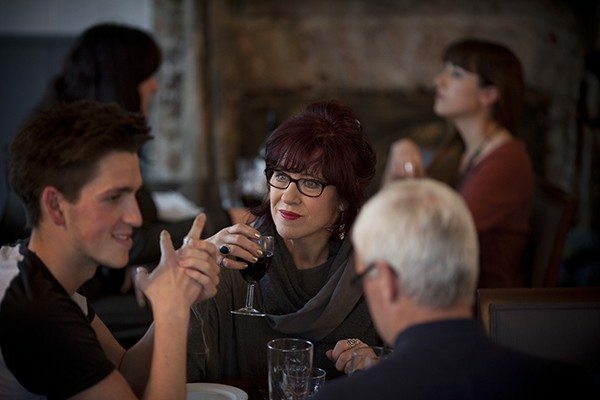 Ranging from regional themes, such as Provençal cooking, to ingredient cameos like Lobster Night, through to educational and inspiring pairing menus. These fun social events sell out quickly, keep an eye on the action by following their Facebook page or signing up to their news letter.